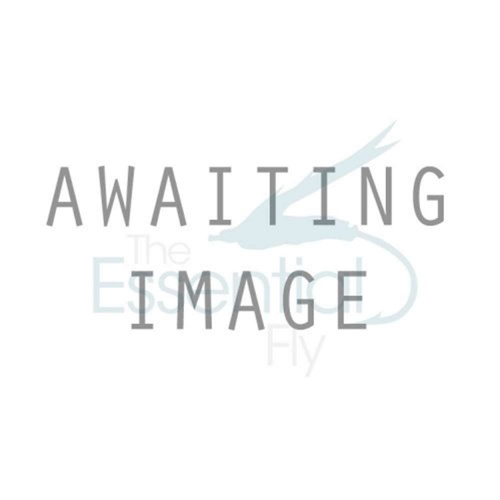 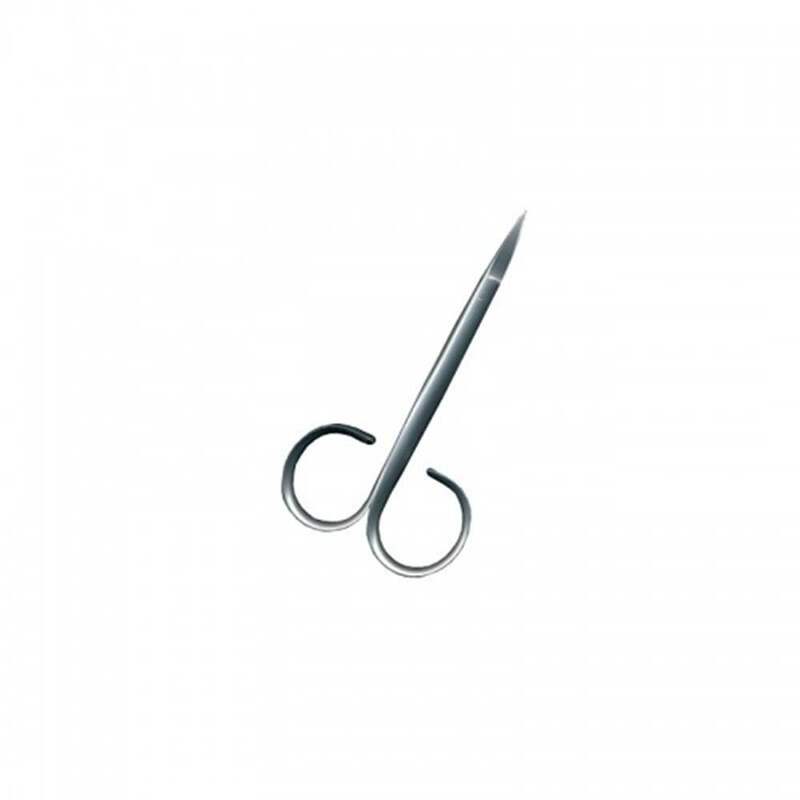 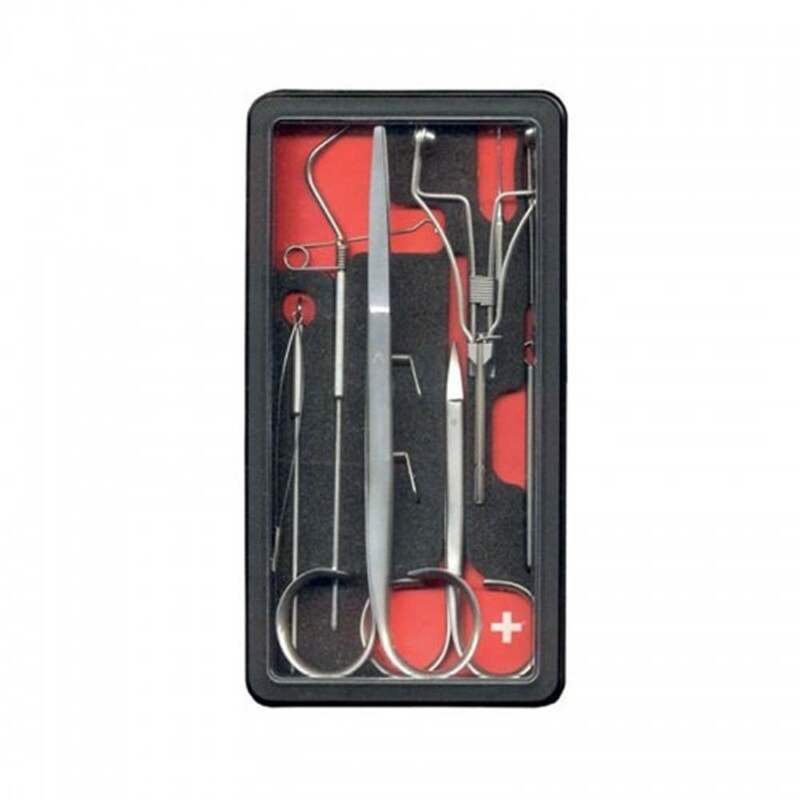 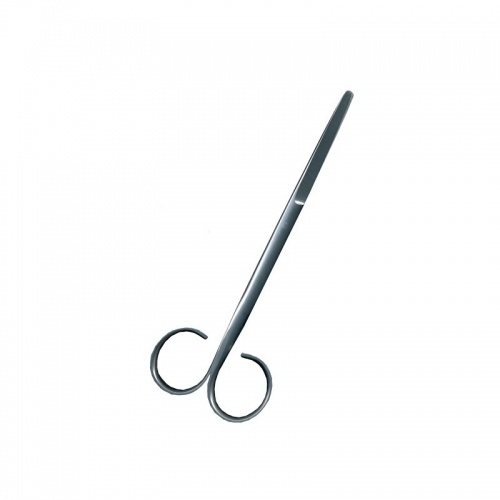 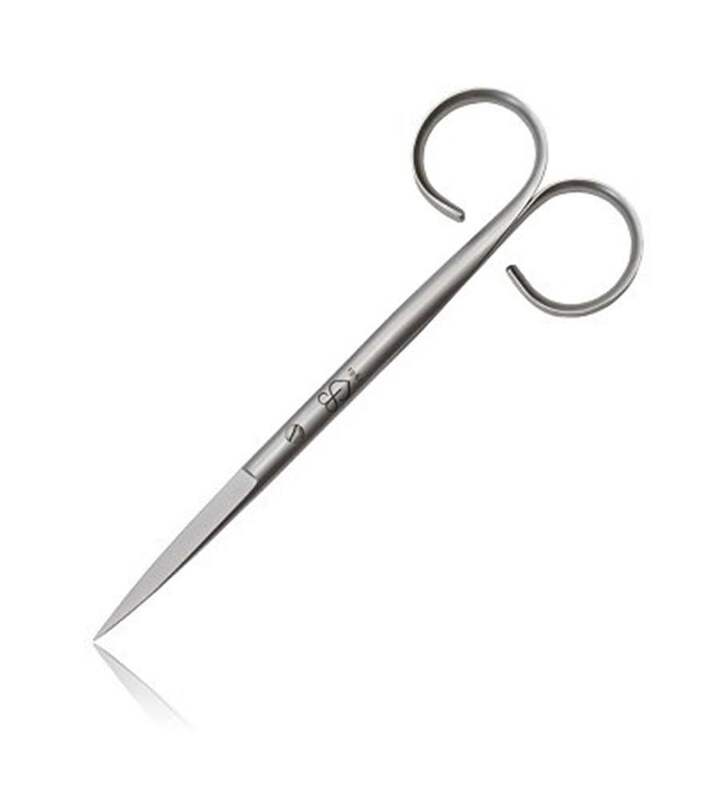 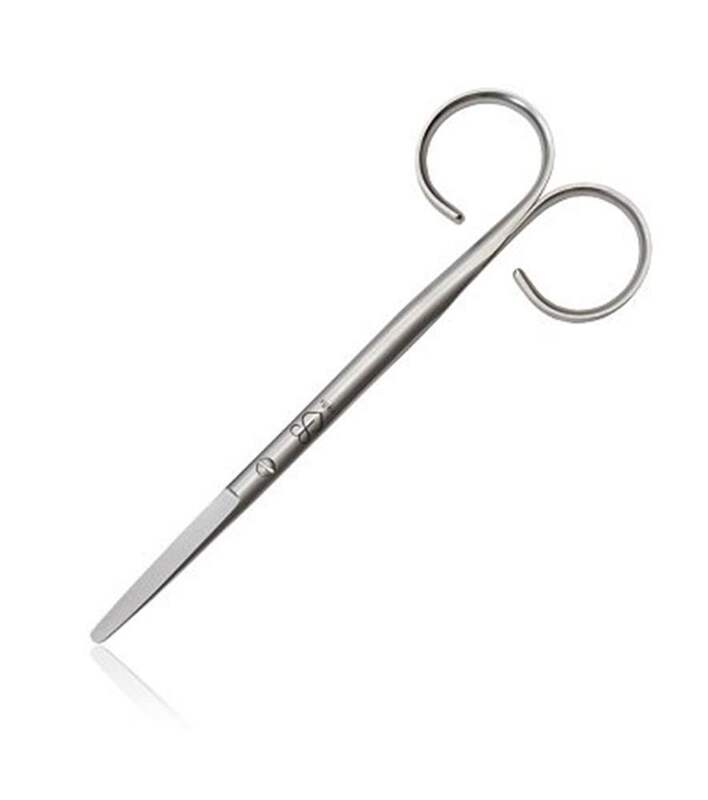 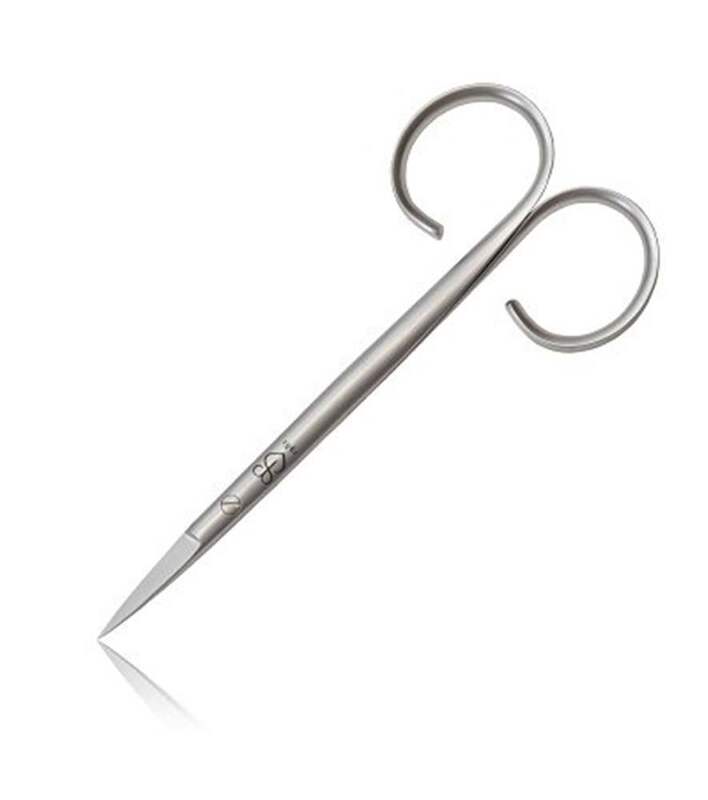 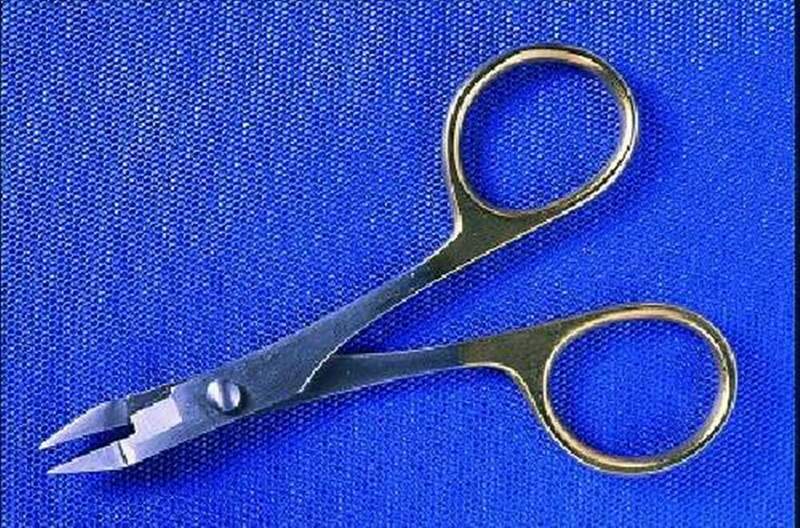 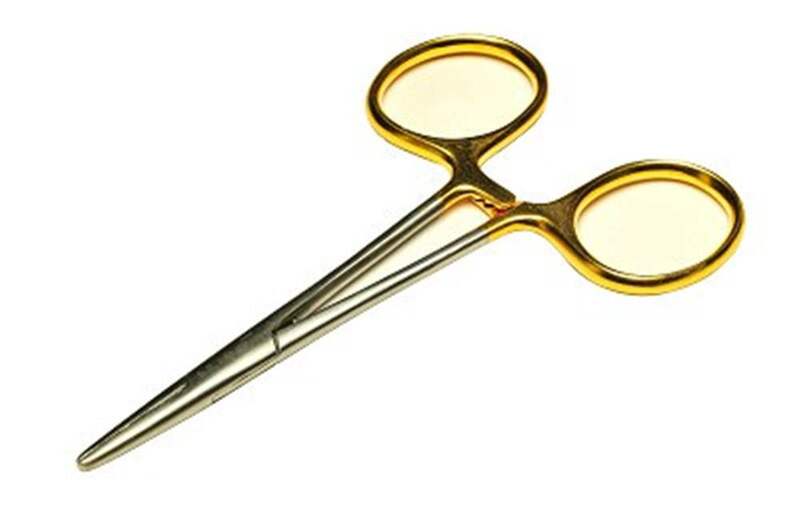 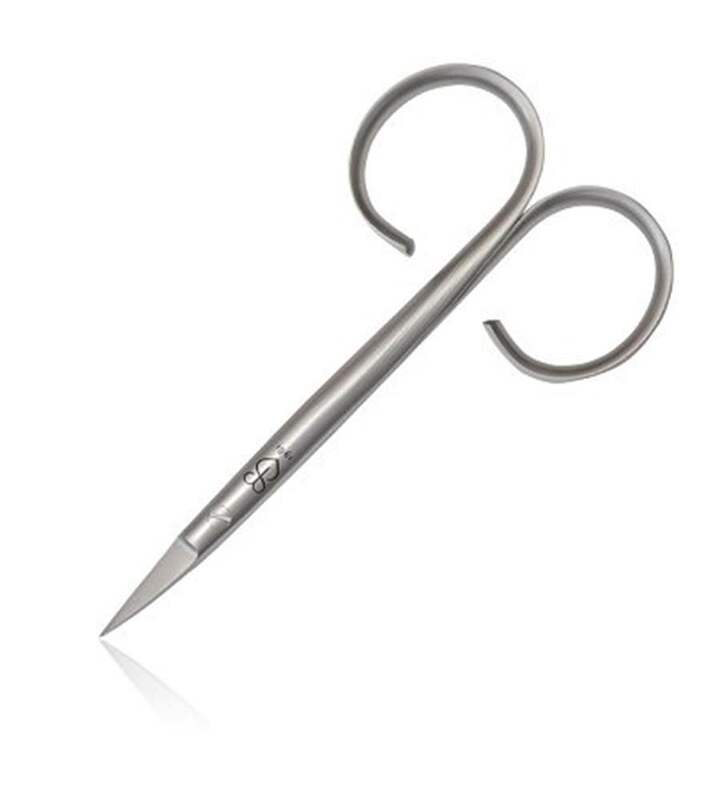 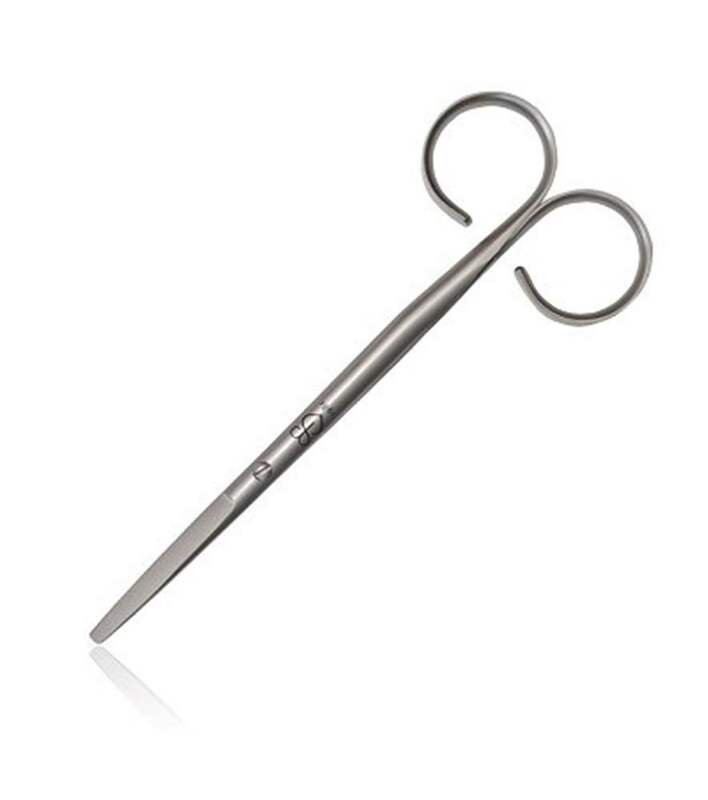 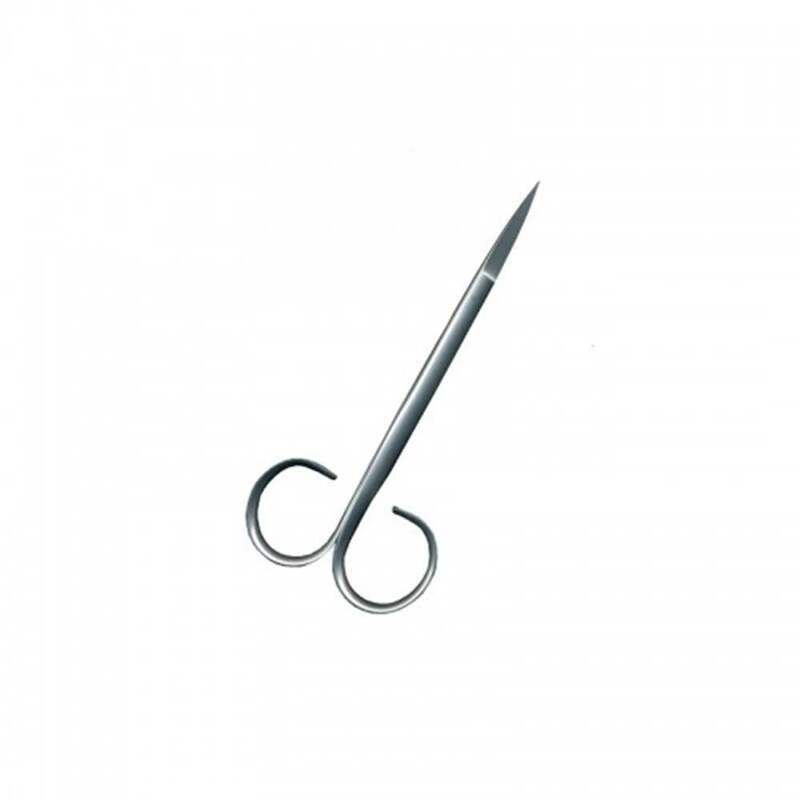 Surgical quality, high grade steel scissors are specially developed for the fly tyer, these include specialist razor scissors designed for cutting hair and skins like bucktail, tungsten scissors which with a tungsten coated blade will cut through anything, micro scissors 3.5" or 4" long which are ideal for getting into small places and trimming carefully flies through to specialist scissors like Semperfli 6 finger scissors that will fit in the palm of the fly tyers hand while they work and be constantly available, an innovation for the fly tyer. 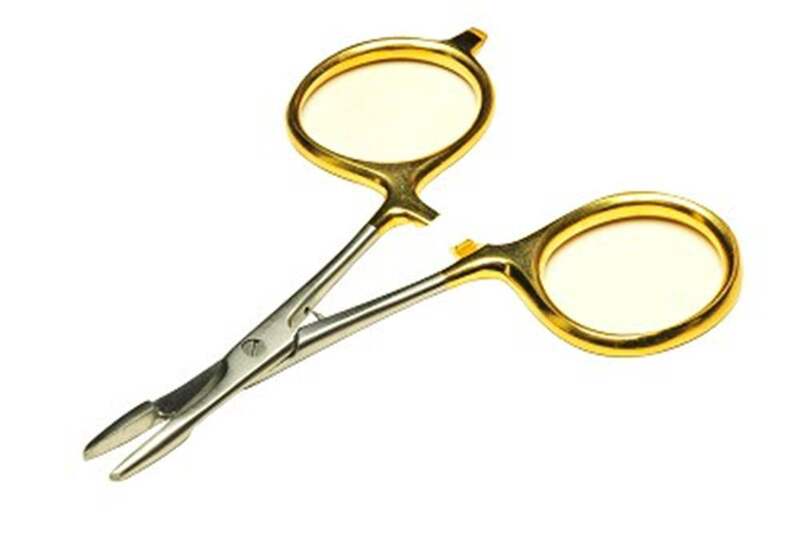 Fly tying scissors come from great manufacturers including Semperfli, Veniard, Marc Petitjean, & Stonflo. 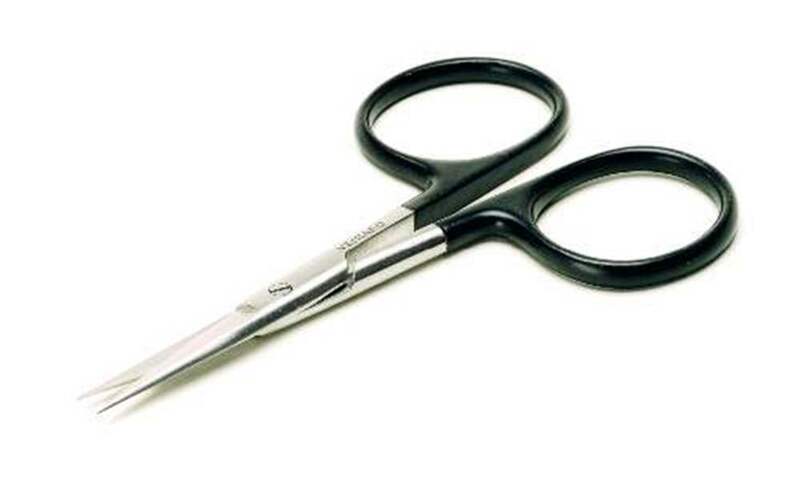 A pair of small basic scissors with a straight blade. 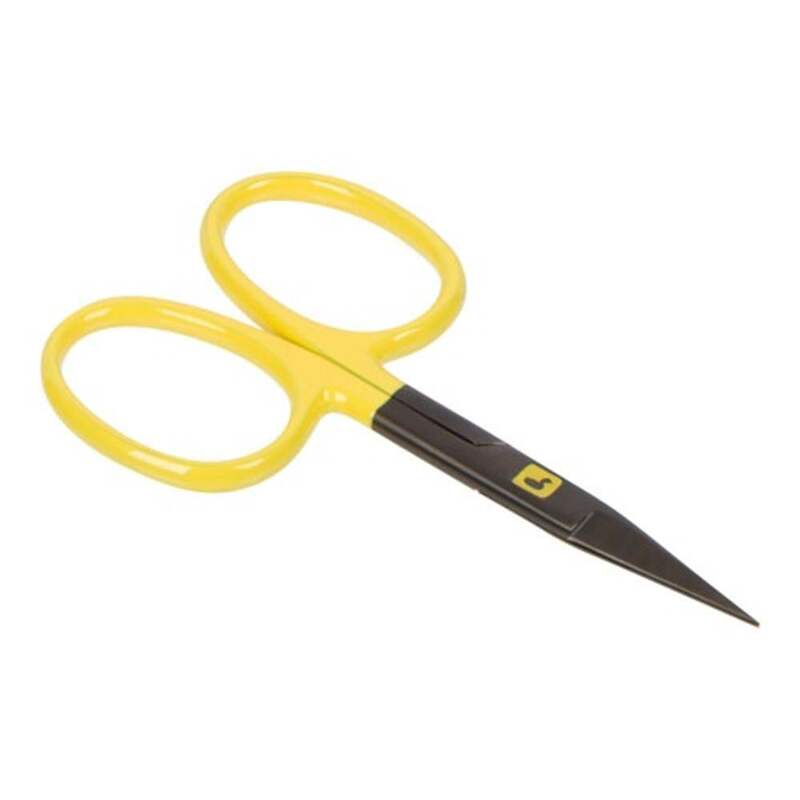 A pair of small basic scissors with a curved blade. 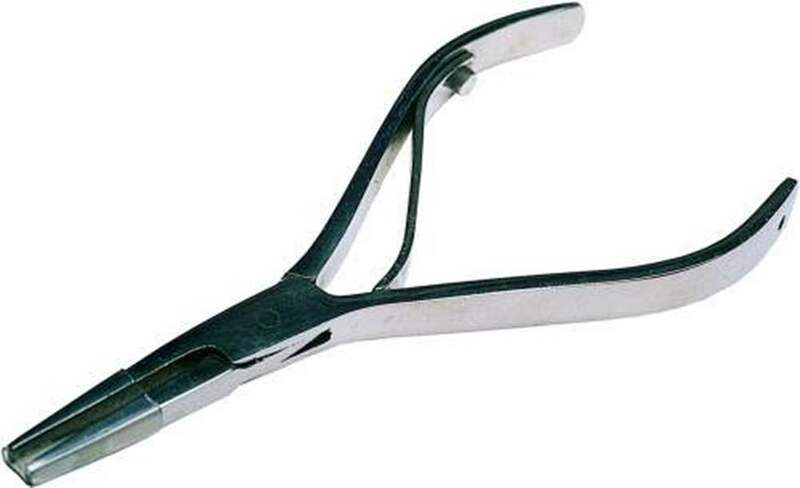 Used for trimming The Natural and Synthetic Materials To Size. 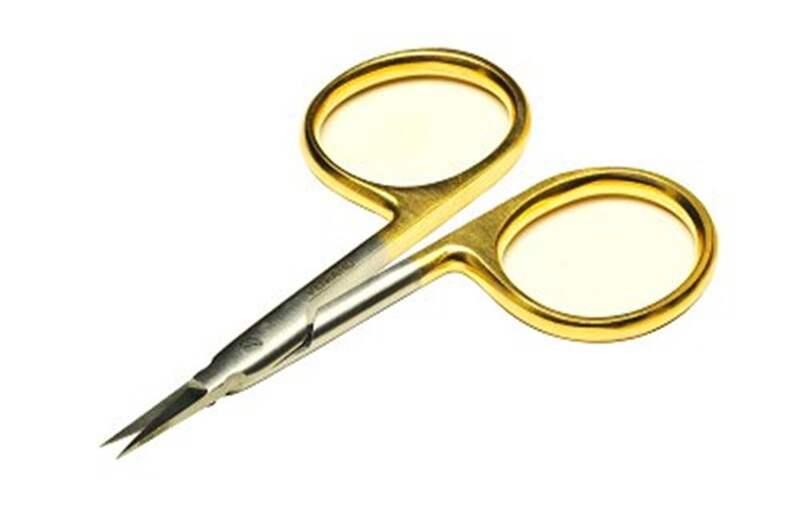 A fly tyer could have a range of various scissors for fly tying. 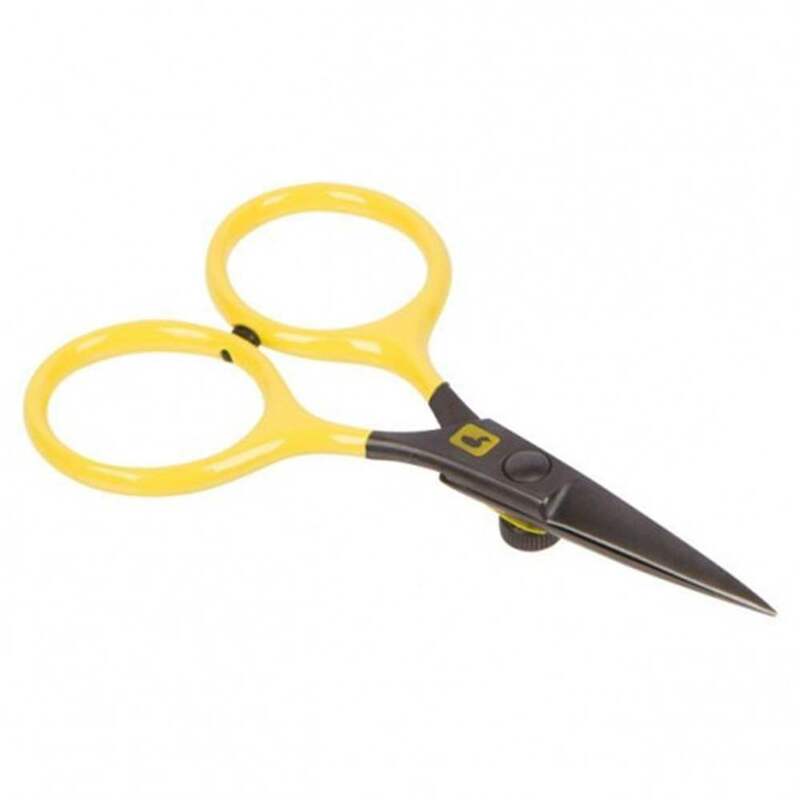 Key is that they are exceedingly sharp and possess a very fine point for close-up work. 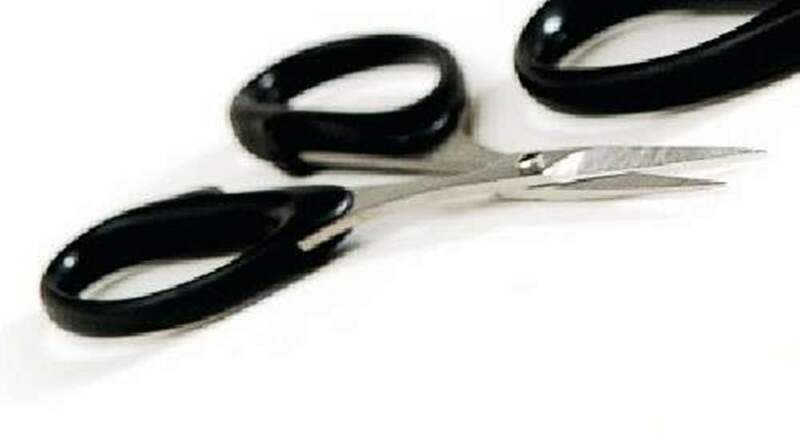 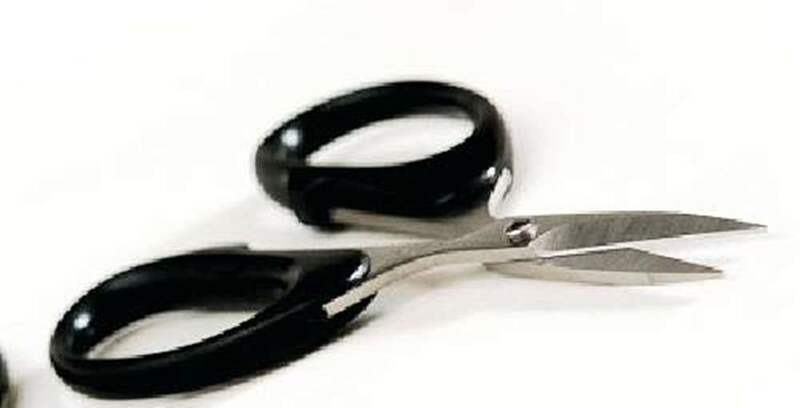 Scissors can be commonly smaller than utilized by craft or domestic users. 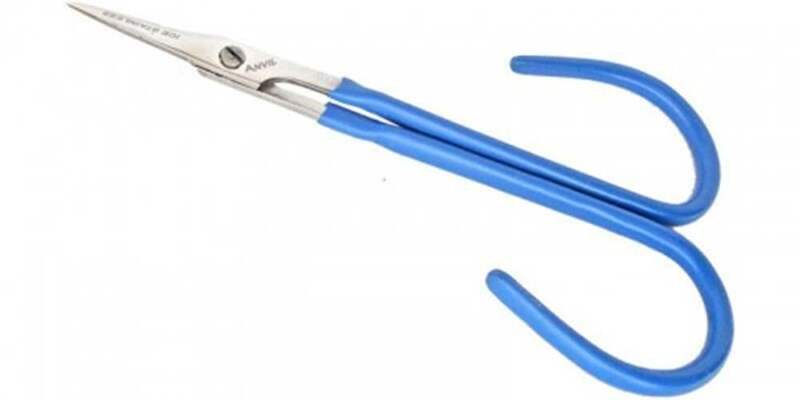 Tungsten blades can be used which are tremendous and strong. 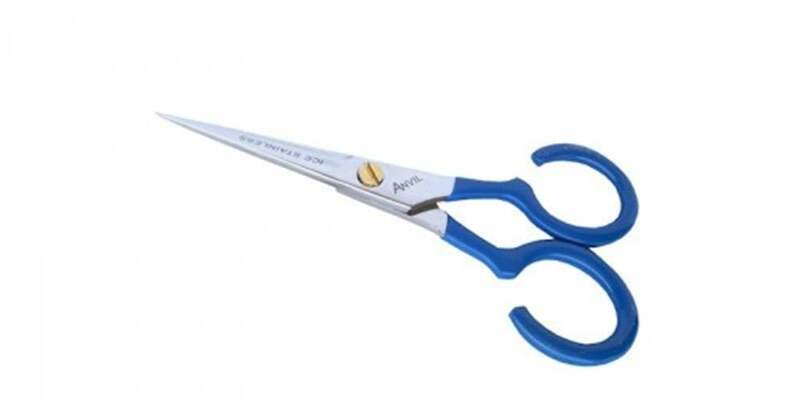 The blades on scissors might be straight, curved or serrated depending on the cutting needs. 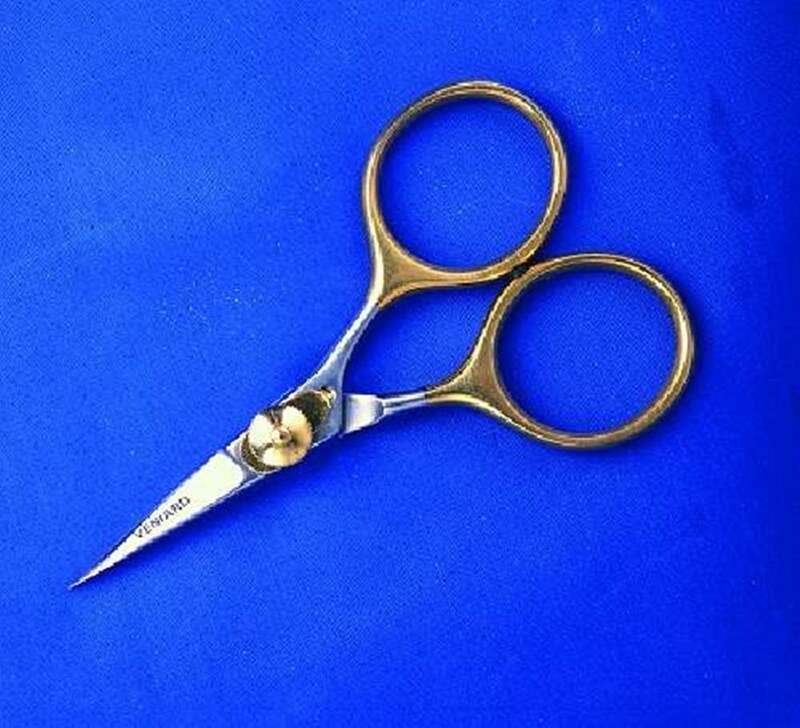 Usually fly tyers hold on to two pairs of scissors nearby, one being a workhorse to cut through difficult supplies similar to feather stalks, hair along with tinsel with another pair meant for fine duties like trimming hackles or silks, the second pair frequently possessing smaller finer points. 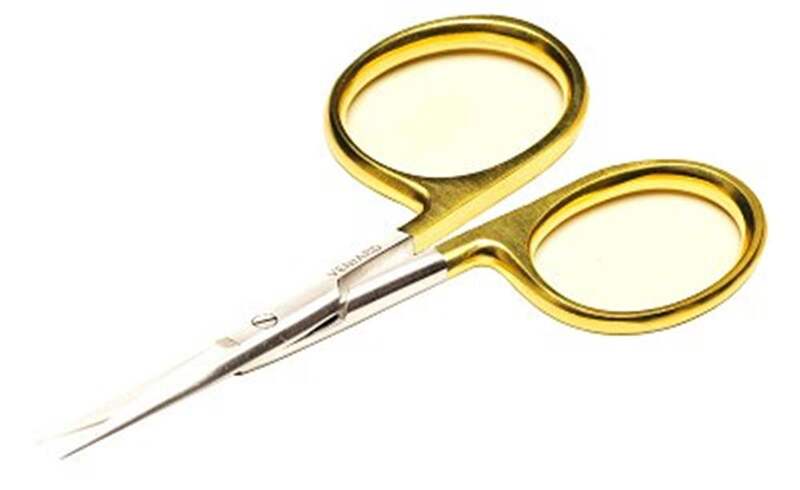 Normally its worth having a razor blade nearby also, in particular if using some different contemporary Kevlar or gel spun silks available, commonly they are stronger than the scissors!